Independant vs Chain car wash. It’s a difficult decision to make, especially if you don’t have all the facts in front of you. Read on to learn the differences between being part of a chain and running an independent car wash.
First of all, it’s important to understand what it means to be part of a chain of companies. Corporations can sell what’s called “franchise rights.” That means that an investor buys into part of the company. An investor can then operate a car wash under that firm’s banner. Operating a franchised unit of a corporation puts restrictions on the investors. They have to adhere to the corporate guidelines, which even extend to how much they can charge and what products and services they can sell. The investor doesn’t have to come up with a business plan – he or she is buying into one that has already been proven to work. Furthermore, customers will most likely be familiar with the brand, so the franchisee doesn’t have to do a lot of marketing work. An independent car wash is founded and run by the owner, and no one else. As the owner, you’re not reliant upon or limited to doing things someone else’s way. Because you’re not a franchisee, you can decide how much to charge, what your employees wear, what your business looks like and what products and services to sell. Being an independent car wash owner gives you far more freedom than being a franchisee. With freedom comes responsibility, though. You’re responsible for developing a business plan, and because you’re independent, you’ll have to establish your brand presence. Your potential customers aren’t aware of your car wash, so you’ll have a lot of work to do to educate them. Are you considering opening a car wash? Not sure about independant vs chain car wash? Contact MacNeil Car Wash Systems at 1-800-361-7797. 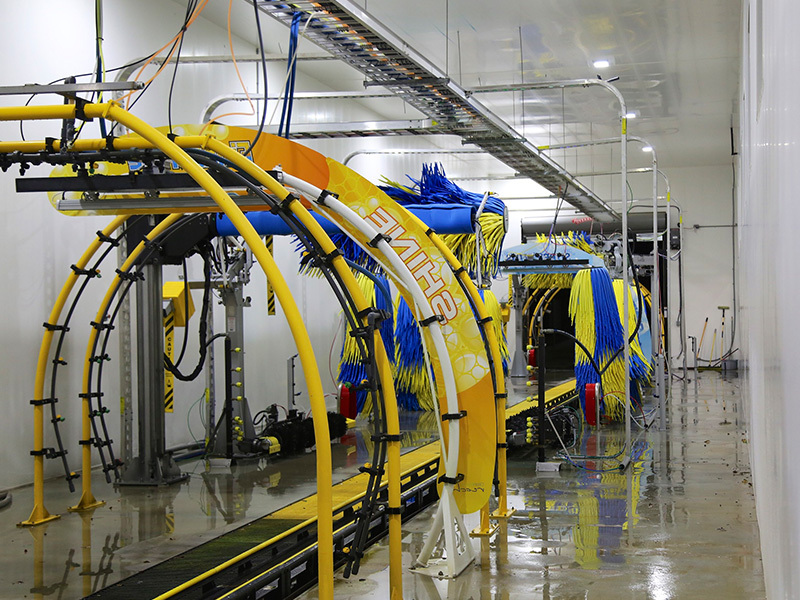 MacNeil Car Wash Systems has been providing the highest quality car wash equipment to the tunnel wash industry, automotive dealers, as well as fleet and rental markets. Our equipment delivers a consistently superior clean with lower maintenance and higher revenue. Put MacNeil to the test.